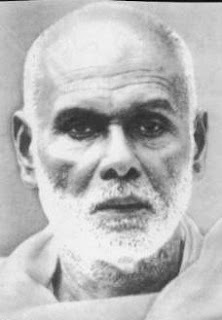 Narayana Guru was born in Chempazhanthy, a suburb of Thiruvananthapuram City, the state headquarters of Kerala, India, in September of the year of 1854. His father, Madan Asan, was an Ayurvedic physician and Sanskrit scholar. His mother was Kutti Amma. Seven thousand years of India's prehistory and twenty centuries of recorded history make their claim on Narayana Guru as the renascent re-creator of India's past and present culture. As an erudite scholar of the ancient Pali and Sanskrit languages and a reformer of the regional languages of Tamil and Malayalam, the Guru gave new insight into the word wisdom of India's Vedic lore and Upanishadic profundity. His affiliation to the spiritual insight of Vedanta (India's Brahminic lore) and Siddhanta (Dravidian ethnic wisdom lore) was of a dedicated son of India's native soil. He fought with his inspired pen of poetic lyric to liberate his downtrodden contemporaries who had been reduced to the status of domestic slaves and illiterates for more than four millennia. His path of liberation was of soul-freeing education and service to fellow humans as a model for shouldering responsibilities as compassionate citizens of a new world culture and ethos. He is considered as God by his community members in Kerala.